T and I rarely cook pasta, but when we do I look forward to it all week. I grew up in a low-carb household so pasta always seams like a treat to me. 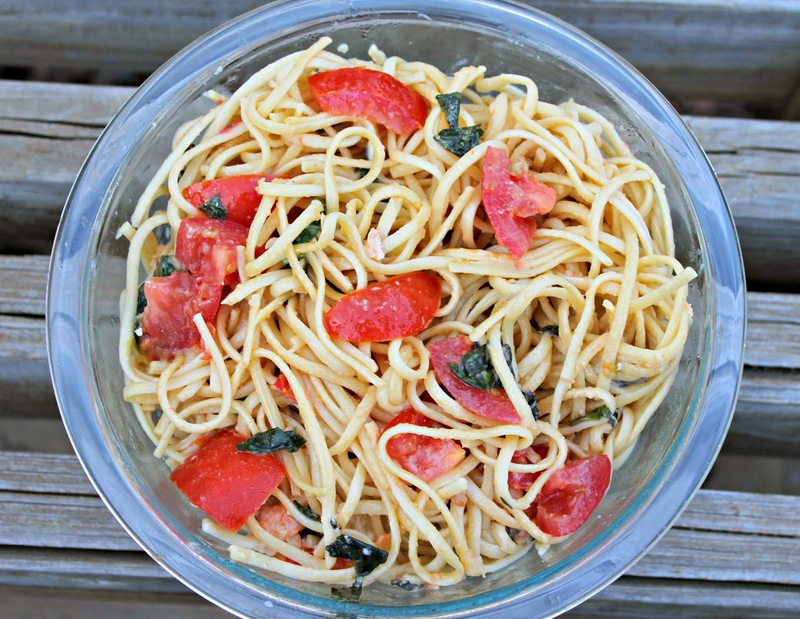 One of my favorite pasta recipes to make during the warmer months is a Tomato Basil Linguini. The best part about this recipe is that you don't have to cook the sauce. It goes together in less than 15 minutes and the flavors are exquisite. I posted a picture of the "sauce" earlier this week and had a few requests about the recipe. *To drain the tomatoes, chop them, dump them in a colander and toss with salt. Let them sit for a few minutes and they will start to sweat some of their moisture out. This is a key step in making a sauce that's not too watery. Boil pasta according to directions on box, drain, and toss with tomato and cheese mixture until Brie is melted. Top with black pepper and shredded Parmesan if desired. If this recipe isn't good enough already, it's also just as tasty leftover. The noodles don't bloat like they do with other watery sauces. I think since the sauce is more oil-based it helps preserve the original integrity of the dish. Major plus in my book because we are big on leftovers in our house. Do you have a favorite pasta dish for the warmer months? I'd love to hear yours if you do! I pinned this for when tomato season rolls around!